Star Trek 25th Anniversary Collection. Artwork by Thomas Blackshear II. 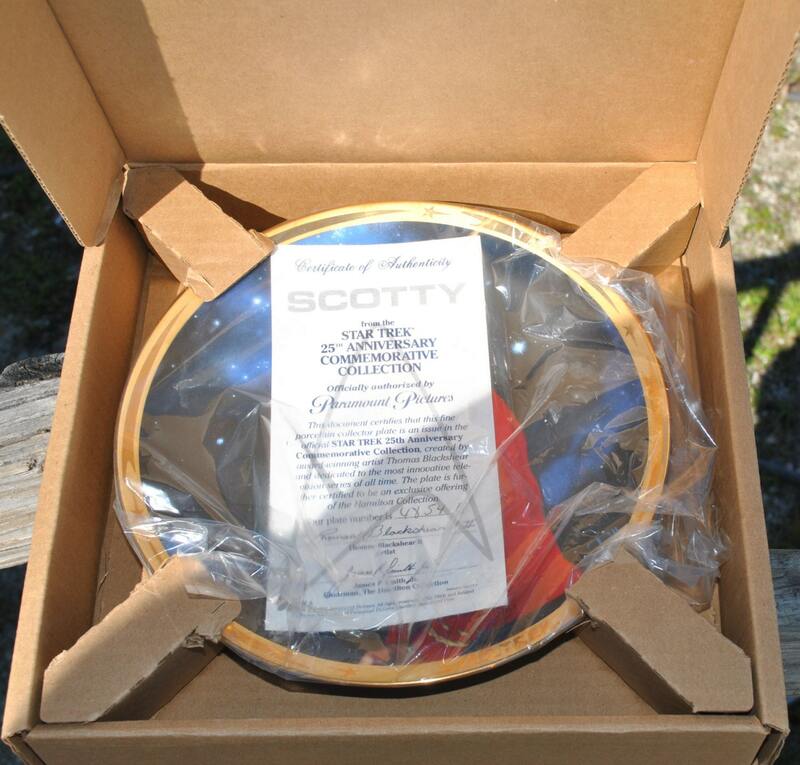 Hamilton Edition Plate Number 4854E.Comes with original Certificate Of Authenticity. 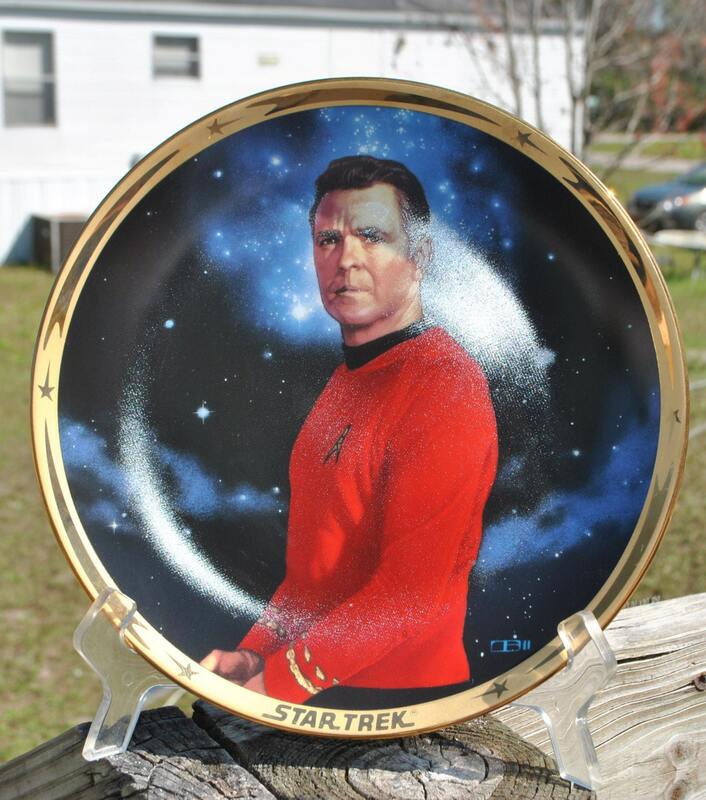 This plate is in very good condition with very minor display wear on back. No noticeable nicks, dings, cracks or breaks. Comes with original shipping box and COA. Stand not included. Please see the photographs for additional condition information. Thanks for stopping by! Shipping costs quoted is for plate mailed in original shipping box. This is the box the plate was mailed in from The Hamilton Collection.